I love that combo! It does look mermaid-y, with those kind of seafoam colors! I love Nfu-Oh...I was hesitant to buy, but definitely worth it! 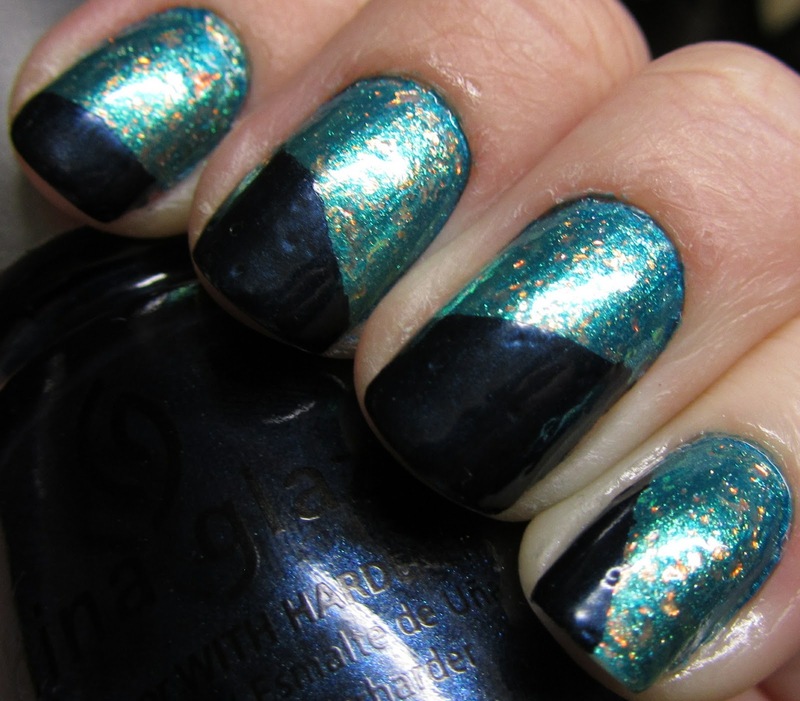 This combo reminds me of Zoya's Crystal. 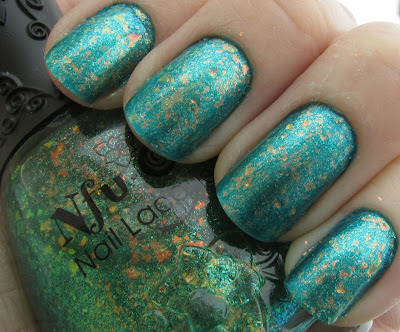 Love the larger copper flakies look in this though! It does have some similarities to Crystal, but it is much greener in color, with Crystal being very blue. But I saw that similarity as well. This looks a lot like a blue-er version of Zoya Crystal and it's gorgeous! !